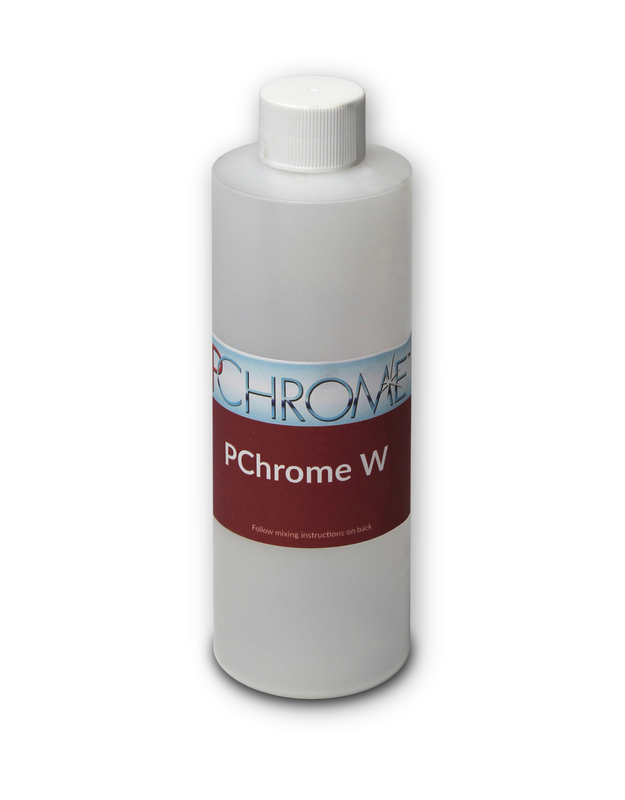 PChrome S is a solution of silver that is used to plate silver to a wide variety of surfaces. 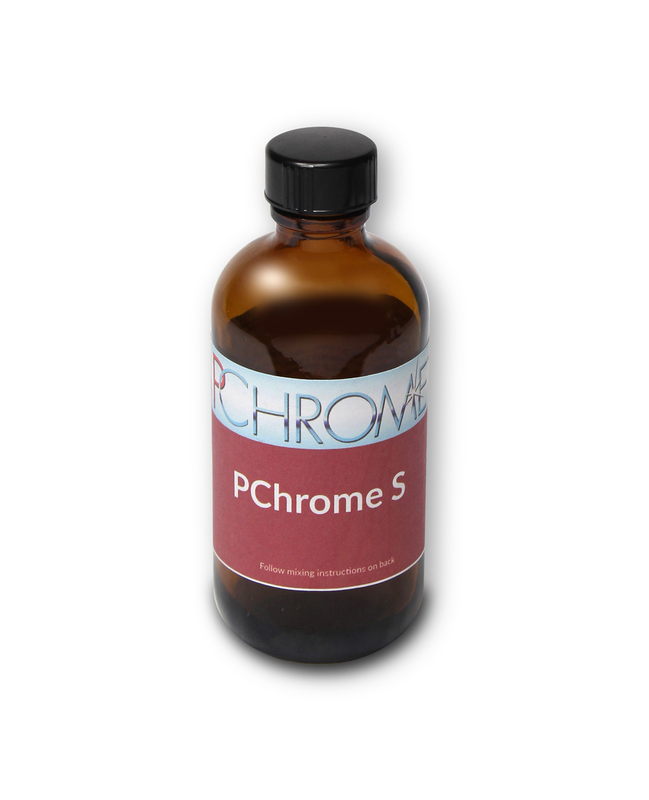 PChrome S is used with PChrome R (Reducer) to create a near instantaneous chemical reaction on a prepared surface. The silver molecules in the PChrome S react with the surface and attach (plate) themselves to the surface. This technology and chemistry was originally developed to create silver mirrors on glass. PChrome’s parent, Peacock Laboratories, led the development of the spray silver mirror process in the 1930s and has continued its on-going development with new formulations and improvements in PChrome. Time is money in the chroming business. The less time you spending spraying translates directly into lower labor costs. The faster our silver reacts on the surface, the less silver you will waste down the drain. PChrome S is optimized with our PChrome R to give you a faster reacting silver and that saves you money. Less silver down the drain equals more money in your pocket. PChrome is a fully integrated coating system. Our customers appreciate and understand the value that comes from having each layer in the coating system optimized to match up with the other components. Every piece of the PChrome system was designed, formulated and manufactured in our Philadelphia plant. Those 8 decades of silver manufacturing give us an exceptionally well developed understanding of what is taking place at the molecular level. Our PChrome basecoat is optimized as the perfect platform for our fast reacting silver solutions. Others use off the shelf urethane auto topcoats. Some work, others less so. None of our competitor basecoats have been engineered from scratch to be the perfect silvering surface. PChrome basecoat is ideally formulated for PChrome. Its sole purpose is to be the perfect surface for PChrome S. It has no other mission. There no tradeoffs. PChrome is a fully integrated system we designed for that single purpose. Manufactured every day by us and us alone in our Philadelphia plant.